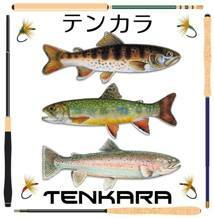 I've been curious about the rods Discover Tenkara have designed and offer to the tenkara community. Paul Gaskell and John Pearson regularly travel to Japan for research and study of the equipment and techniques found there. They spend a lot of time with expert Japanese tenkara anglers. It just so happens that some of the people they fish and work with in Japan are friends of mine. 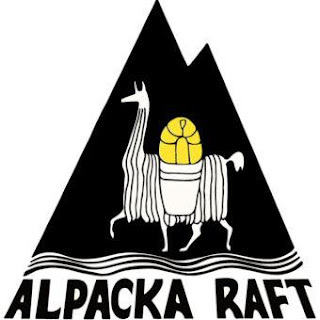 Because of that interest, I recently had the opportunity to use one of their rods. Dr. Tom Davis offered to send a tenkara rod to me that I've been interested in for quite a while. He also offered to send the Karasu 360 along with that rod. I have had it for a couple of weeks and I feel that I understand it a little more after using it and reading, watching videos about the design. The Karasu 360 is definitely a quality tenkara rod that has a unique balance and feel that is light and desirable for all day, precise casting. I fished it today with a 5m #3 Oni fluorocarbon line and used a Jun kebari that I tied and really enjoyed the experience. 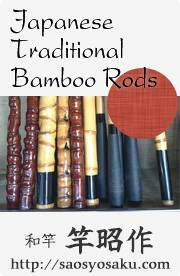 The rod is comparable to many top tier rods of equal price and similar construction. It exhibits a nice balance, is light in the hand, cast precisely and is delicately sensitive. 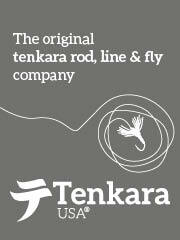 It is an excellent example of a performance minded tenkara rod with a great background and a experienced team of developers. I asked Go Ishii for a quote on the Karasu 360. "I’d say it was a great collaboration work between some of the top anglers in Japan and DT. I like the way it sets hook too." I asked Paul Gaskell for a quote as well. "Bringing the Karasu to life has been an exhilarating – often scary – ride. We owe so much to the incredible expertise and professionalism of the Japanese manufacturing team as well as the top Japanese anglers who have been kind enough to test the rods alongside us. Trying to make the highest quality rod possible was a big risk – but when the final version of each model landed with us we were just blown away by what the manufacturers had managed to deliver. Put simply, the results blew past what we'd dared to hope for and we are hugely grateful to the whole team who made it happen. 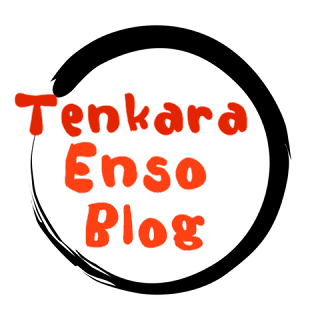 Discover Tenkara supports their customers with a forum for the user and full spectrum tuition of videos, electronic media and printed material for further education and entertainment on tenkara. I really enjoyed my time with the Karasu 360. If you are interested in purchasing a performance minded tenkara rod with a great background and tuition to go along with it, consider a Karasu 360. Thank you Dr. Davis for your kind offer.